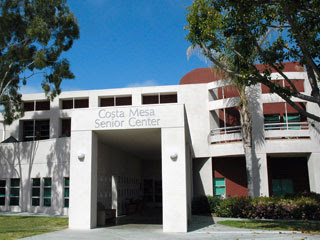 Last night at the Costa Mesa City Council meeting we finally heard from "the other side" on the whole Senior Center issue. During Public Comments a dozen people stood to speak directly to the conditions at the Costa Mesa Senior Center and only two spoke in negative terms. The remainder (83.33%) spoke with passion in glowing terms about the programs, management and staff. One of the two who spoke negatively, Darlene Letnes, has been a frequent and vocal critic of the center and it's Executive Director, Aviva Goelman, both in person and in writing in the Daily Pilot. Last night Ms. Letnes used much more than her alloted 3 minutes and spoke with such anger that I thought she was going to blow a gasket! Clearly, the Senior Center is not a place where she finds peace and harmony. My suggestion to her is to simply find another place for her recreation and fellowship - perhaps Huntington Beach. At the end of public comments Goelman stood and addressed Wendy Leece - the lightning rod for all the turmoil at the Senior Center for more than a year - suggesting that the two of them get together to discuss their differences. 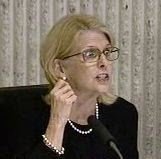 Leece later agreed to meet with her. Leece, in her role as city council liaison to the Senior Center, has overstepped the boundaries of her assignment many times. She's taken it upon herself to change the rules and give staff direction - something well beyond the purview of her job. Let's hope this new spirit of collegiality will facilitate the restoration of calm at the center and that our seniors will, once again, find it to be a haven of companionship, recreation and good will.